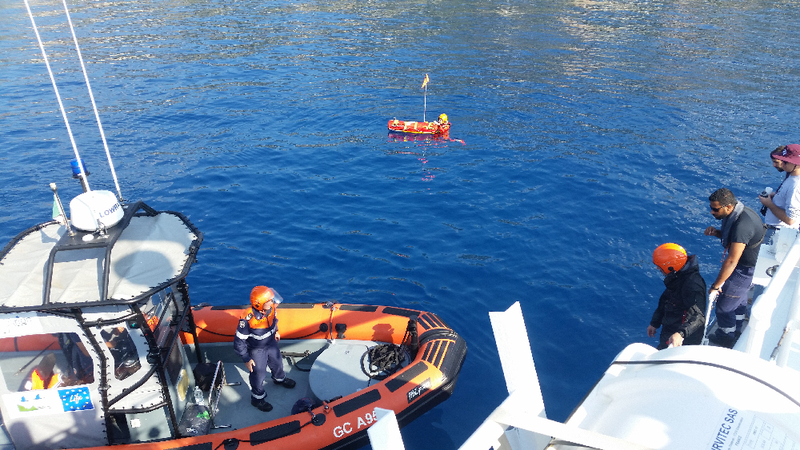 The Center for Robot-Assisted Search and Rescue (CRASAR) at Texas A&M Engineering Experiment Station conducted a joint training exercise with the Italian Coast Guard in Genoa, Italy to prevent future migrant drownings in the Mediterranean. 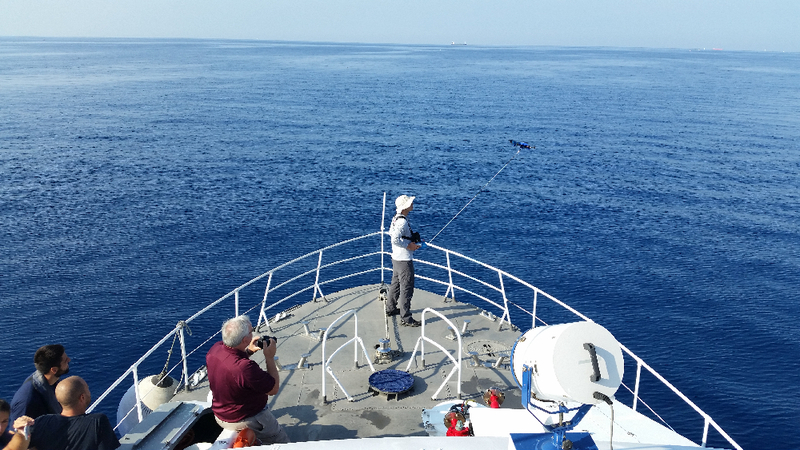 Over the course of three days the exercise tested EMILY, a lifeguard assistant unmanned surface vehicle, a Fotokite tethered unmanned aerial vehicle, and LTE cellular communications. The goal is to accelerate research in robotics, sensors, and networks for marine mass casualty events as a crisis response. To help save migrants, the CRASAR team is testing a computer program that allows an autonomous Emily to drive near a cluster of people in need of help and to position itself in a way that allows the greatest number of people to grab on. This, in turn, frees up the lifeguard to get to people in immediate distress. The joint exercise was arranged by Prof. Gianluca Antonelli, University of Cassino, and Prof. Pino Casalino, through the Interuniversity Center of Integrated Systems for the Marine Environment (ISME), a consortium of seven Italian universities in conjunction with the Italian Coast Guard Genova, led by Commander Massimo Kothmeir. The ISME team, node of Cassino, was led by Prof. Gianluca Antonelli with 3 collaborators/PhD students (Elisabetta Cataldi, Paolo Di Lillo, Daniele Di Vito). 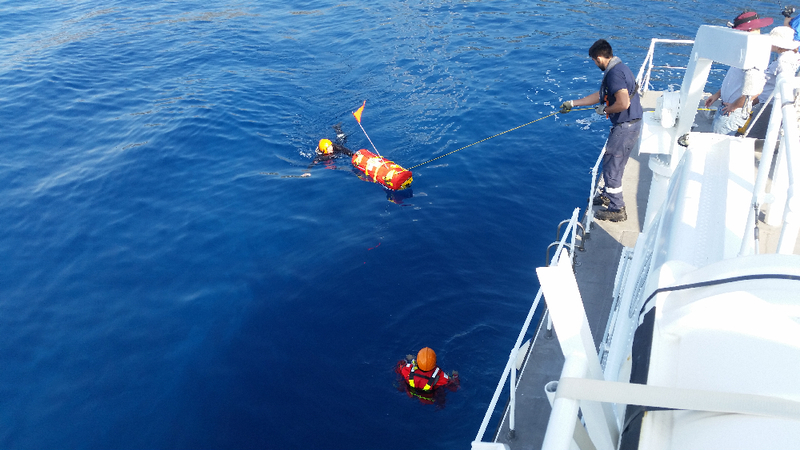 In January 2016, CRASAR deployed EMILY robots to Greece during the wave of migrations from Turkey. Two EMILYs are currently in use by the Hellenic Coast Guard and Hellenic Red Cross, and the Hellenic Coast Guard credited CRASAR with recently saving over two dozen refugees trapped in high seas. The exercise identified major differences between the Turkey-Greece and Africa-Italy migrations that affect unmanned system design, resulting in new research directions in autonomous navigation, human-robot interaction with victims in the water, and the use of UAVs to direct lifeguard assistant robots and provide situation awareness to responders and their supervisors on shore. The CRASAR team was led by Prof. Robin Murphy with 2 graduate students (Grant Wilde, Jan Dufek) and 1 undergraduate (Rebecca Schofield) from computer science and engineering and EMILY creator, Tony Mulligan of Hydronaulix, and medical expert, Lynn Marie Kelly-Mulligan. Dr. Walt Magnussen of the Texas A&M Internet2 Technology Evaluation Center also participated. CRASAR is funded by the National Science Foundation.